Scott Wright is the president of Liberty Consulting Corporation and has been an independent financial advisor since 1999. With over 20 years successful experience in the financial services business Scott has proven to be a leader in his field. His philosophy about financial planning starts by taking the time to get to know his clients and understand their needs. Every client gets a personal meeting designed to uncover what is truly important about their financial life. Next they get their own cutting edge website that automatically updates their accounts showing their progress toward reaching their goals. Technology and a wealth of resources help Scott to generate and maintain plans for his clients. In 2005 he was designated as a Master Financial Professional (MFP) by the American Academy of Financial Management (AAFM) and holds the Registered Financial Consultant (RFC) designation given by the International Association of Registered Financial Consultants (IARFC). His securities registrations include the FINRA Series 7 (General Securities Registered Rep.), Series 66 (Uniform Investment Advisor), as well as registered loan broker and life insurance licenses. He began his career by earning his BSBA majoring in finance from The Ohio State University in 1989. 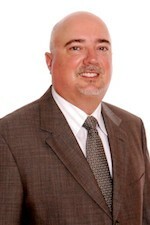 His resume includes management and executive level positions at American General, Banc One Financial Services and MidAm Financial Services / Sky Financial.